Do I Need Antivirus Exclusions? Your antivirus software looks at files in your email, files that you are interacting with over the internet, and files that are already stored on your computer. Its main purpose it to determine whether these files are harmful or benign, and block or allow them accordingly. Many times, your antivirus software can get it wrong. Our team regularly sees issues where a client’s antivirus software blocks the proper operation of a perfectly legitimate program. The solution to this problem is to add exclusions to the antivirus application—essentially telling it to ignore a certain set of files. Note that you don’t want to exclude a file that you can’t verify is legitimate. Make sure you obtain any antivirus exclusions from a trusted source. For instance, the exclusions we list below were provided directly from Philips. How Do I Add Exclusions? Because of the security concerns associated with your antivirus software, we recommend that you contact your IT department to add these exclusions. If you do not have an IT team, check with your antivirus software vendor for instructions. Because of the differences between a 32 and 64-bit version of Windows, there are two different sets of exclusions below. You will only add one set, depending upon which type of operating system you have. This does not apply to the “file extensions” category of exclusions; 32 and 64-bit Windows users will both add them. These exclusions can be added generally, but they only need to be added for the locations listed in the “Folders” category of the appropriate version of Windows. Where the folder paths below say <USER>, you will need to enter your Windows user name. 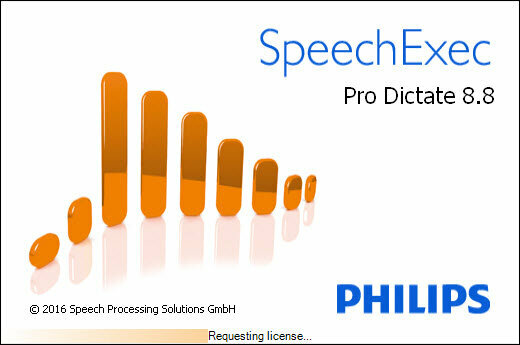 Need Help With Philips SpeechExec Pro? If you need help installing or configuring SpeechExec, or you’d like some training on how it all works, we’re here for you. Click the button below to get started.